Yes, that’s the motto of Brian Juliano owner/founder of Juliano’s Pools has become an ever-present business fixture at 321 Talcottville Road in Vernon. Brian worked on pools throughout high school and began to realize how enjoyable building and servicing pools was. After graduating from high school, Brian enrolled in Providence College as an economics major. Brian would commute from Rhode Island to work on pools to meet his college expenses. Once finished with college, Brian was convinced that after many years of pool experience and a background in business, it was time to start a full-service pool company in the CT and MA area. With advice from his parents, Bob and Marcia Juliano, he purchased a van and some basic hand tools. Juliano’s Pools was founded! With only one employee, Jeff Juliano, his brother, the two were able to build a dozen pools in the first six months of operation. Juliano’s Pools continued to grow as Brian saw how top-quality workmanship, fair prices, and exceptional customer service paid dividends. Currently, Juliano’s Pools has over 100 employees. Supervisors include a GM, Project Manager, Service Manager, Service Director, Parts Manager,Construction Manager, Store Manager, Finance Manager, Human Resources, Sales Consultant and Marketing Manager. 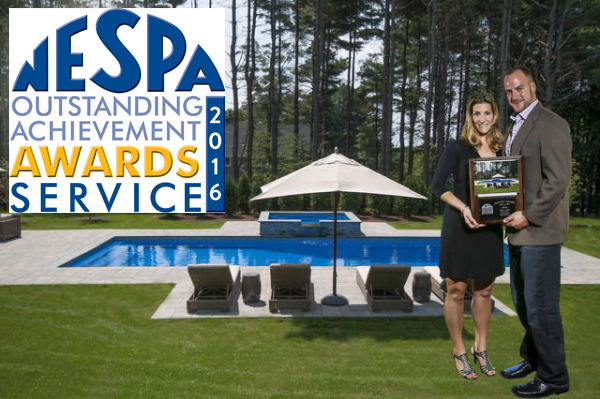 Now, Juliano’s Pools has tens of thousands of satisfied customers in Connecticut, Massachusetts, and Rhode Island. Brian is licensed in all three states. When you choose to purchase a pool from Juliano’s Pools, you have the added benefit of interacting with the owner. From the start of the project, Brian provides his personal cell phone number to every customer.